We have all the basics covered to make us the ideal base for your Litchfield adventure. For those that are cooking for themselves, there are a couple of gas burners, a barbecue, microwave, sink and fridges for your use. There are no pots, pans or crockery etc though, so you will need to bring your own. 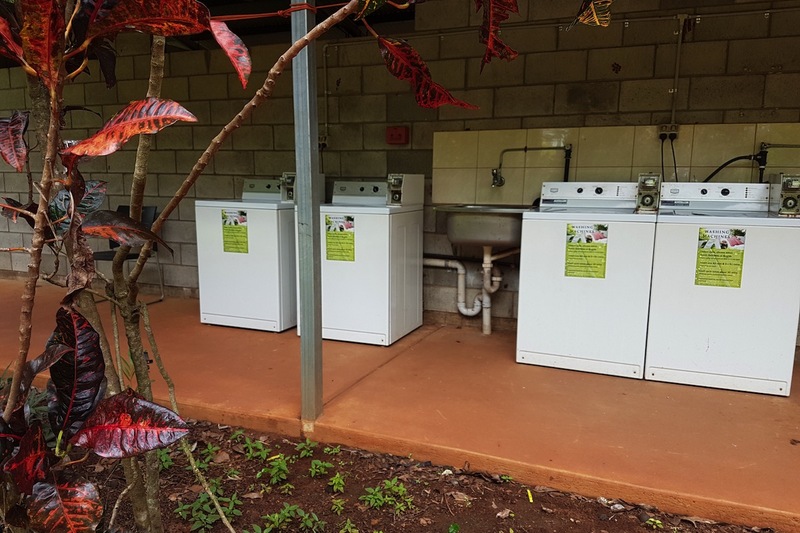 Laundry facilities and clothes lines are available for inhouse guests. The office and café are located under the one roof. 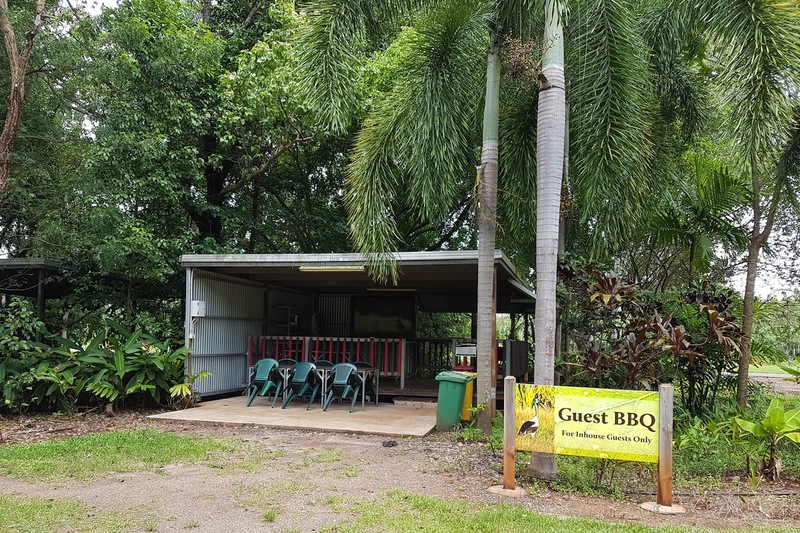 Head to the bar to ask for information on Litchfield National Park and the local area and services. You can purchase hot and cold drinks, icecreams, snacks, toiletries and other essential items. Need we say more? It’s deep at one end, shallow at the other end and mighty fine to throw yourself into after a hard day on the trails. Open during daylight hours. One of the hidden delights here at Litchfield Tourist Park is the Finnis River which flows right through our back yard. Enjoy the tranquil beauty as the river cascades over the barrage and meanders under the tropical rainforest canopy. Drop in a line and try your luck catching a Barra or Black Bream (Sooty Grunter). While not noted as residents of the area, always keep an eye out for roving Crocs which are known to pass through at certain times of year!